The further south we progressed, the worse the damage to the buildings etc on the canal banks. 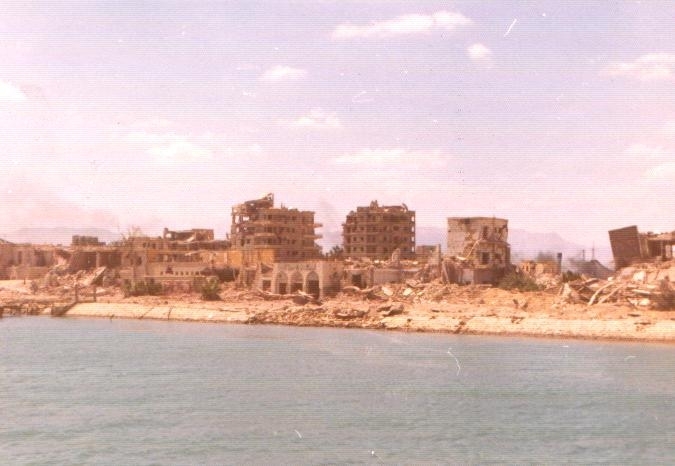 Port Suez was a virtual ghost town, hardly any building undamaged. No chance of a run ashore then! Contacts during the search in the southern half of the canal followed the same pattern as the northern part. 2000/1000Kg bombs, 500/100Kg bombs,RPG rounds, grenades, armoured personnel carriers (some with personnel still inside!) and various arms and ammunition. 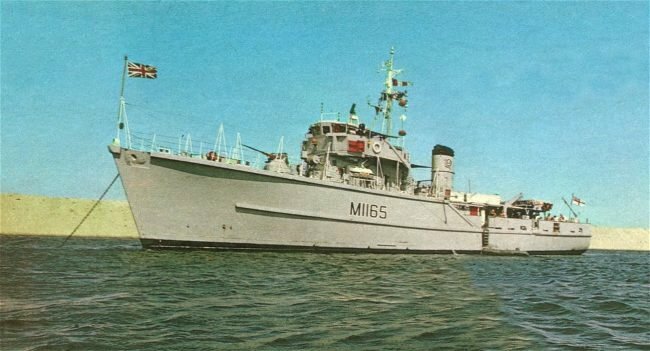 We completed hunting the Canal proper (at Km 162.5) on 14/9/74, although MAXTON actually transited the entire length of the Canal on 15th July, being the first vessel to complete a transit of the Suez Canal since 1967. 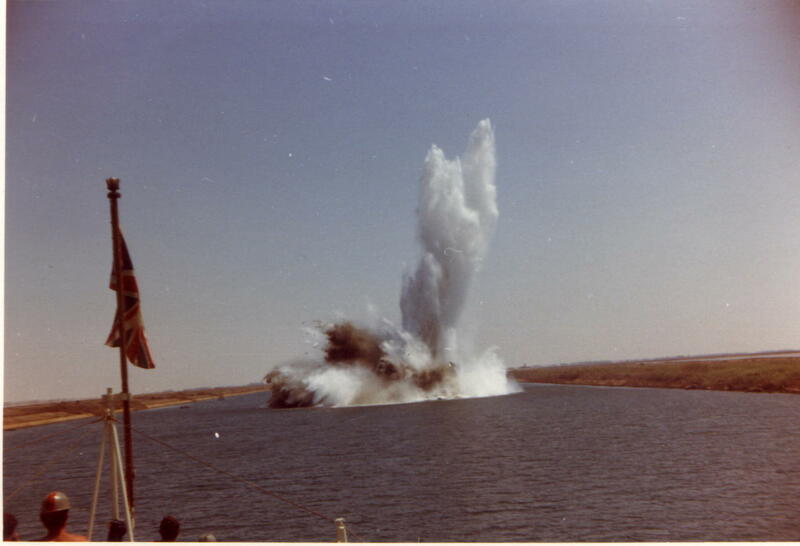 We were then tasked with clearing Port Tewfiq, Port Ibrahim and the Sharif Basin. These had been heavily damaged during the war and contained large amounts of unexploded ordnance. 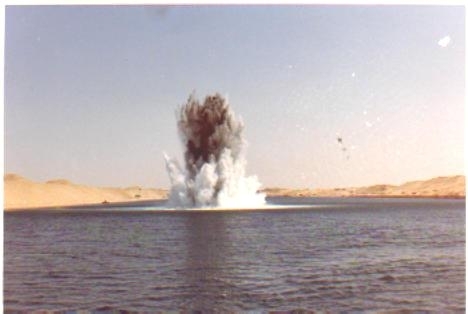 Having cleared the Ports, we then hunted the approaches to Suez, in the process finding an Egyptian naval vessel (ex-Loch class frigate) which had been undiscovered since being sunk in the 40`s or 50`s by the Israelis. 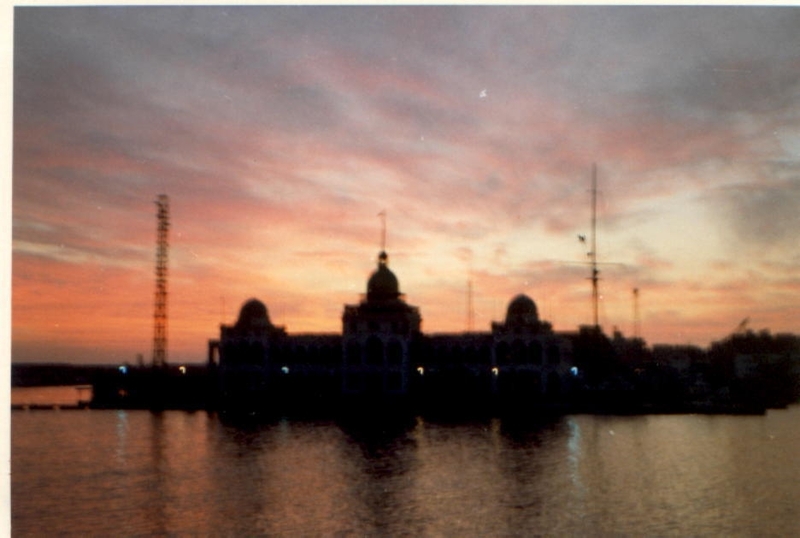 On 1st November, the Task Group departed Port Said and the canal, heading for Alexandria for a brief visit. 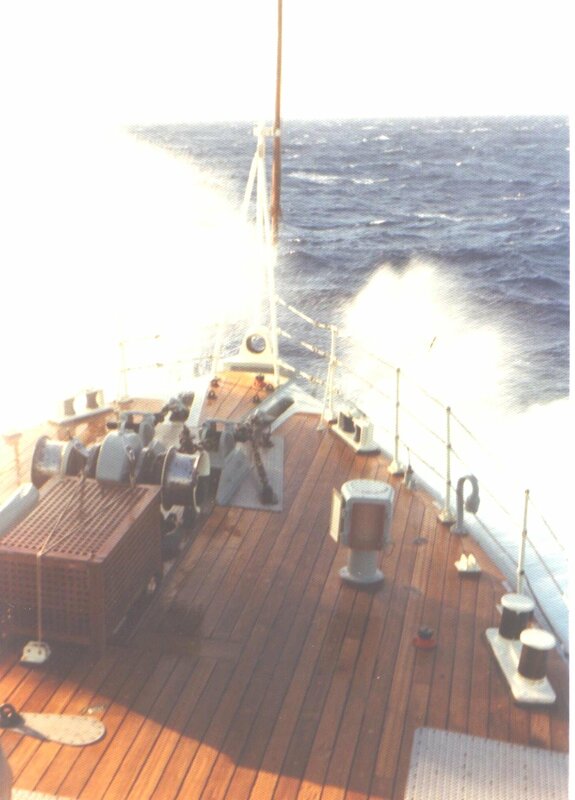 We then steamed home via Malta and Gibraltar, arriving at Portsmouth on 21st November 1974. The Task Group was disbanded officially on 23rd November 1974. 28 Years later, some of us met up again for the first time - but that is another story! !